First of all, I think this is going be a great game of football. It can go either way: 4-0 to Real Madrid or 4-0 to Liverpool FC. It also could be something like 4-2, so what I’m saying I think we might see many goals, and I base it on the fact that both teams have a fantastic attack and an okay defence, especially Liverpool. Real Madrid is the definition of my “rich get richer” theory. I’m very strong on the “rich get richer” theory especially in the Champions League. I don’t mind occasional Villarreal, Porto or Leicester experience, but only once in a while. 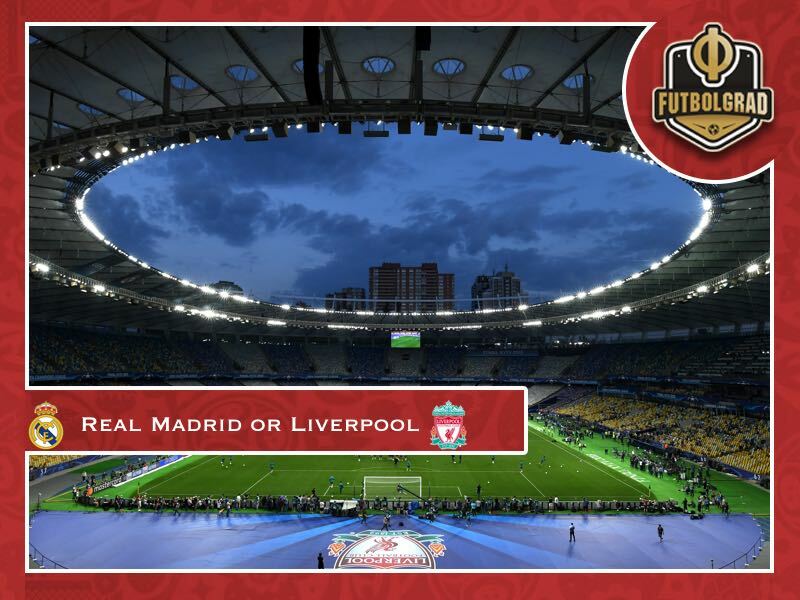 Liverpool is a big, massive club, but in the recent years, Real Madrid is one of the few clubs which define the success in the modern football. And I want them to keep winning for my theory. Real Madrid can win three Champions Leagues in the row. In the new format, nobody won two in a row, until Madrid did it last year and now they have an opportunity to do it three times in a row. I find it fascinating because it was impossible to win twice, but three times is legendary. Quite a few teams made it to the final two years in a row in the new era (Ajax, Valencia, Manchester United, Bayern) and Juve had three finals in a row, and nobody won all two or let alone all three finals in a row, only 1. What does it tell us? That it is very hard and near impossible to keep the players and the club in that winning focus, mentality and the level of motivation for even two years. That’s remarkable to be at this level of focus and motivation for three years, and it’s very Christiano mentality, and I respect it. But the biggest irony is that nobody can say that Real Madrid was the best team over those three years. If they win three in a row then people in 20 years will be saying, do you remember that legendary Real Madrid team with Cristiano Ronaldo, Sergio Ramos, Karim Benzema, Gareth Bale, Toni Kroos, Luka Modrić who won three Champions League three times in a row? But we lived through that period, and we can say that no, they weren’t that superior. We can all name four to five sides, which were as good over that period. Real Madrid just clutched it. I find this very ironical, and I want that to happen. Real Madrid’s way to the final. Winning over Paris Saint-Germain, Juventus and Bayern are very impressive. That is a proper Champions way, and this is quite an achievement which deserves a trophy. Zinedine Zidane. I wasn’t sure if Zidane will be a good coach, but he is doing something right. I wasn’t against him; I wasn’t sure if he will end up a good coach with no real experience. He proved to be a good one, and I like. Also, he had a tough start to the season, and I felt very unfair when in press people being saying he needs to be sacked. A person who gave you two Champions League titles in a row can’t be sacked after a series of three to four months out of form. I want him to prove the critics wrong and win one more trophy. Now a bit more of a proper article. My ideas and stuff I heard on podcasts and internet which kind of led to my conclusions. I am a big believer that it comes down to experience when we’re talking play offs stages of Champions League, especially the final. I think that experience in the final stages of Champions League is even more important than having good players. Because poor players by definition won’t have the experience of final stages of Champions League. So it is kind off given – if you have that experience you are a good player. Real Madrid spend those three years in the same lineup, and collective experience and clutchness is at the highest level possible. Look at their squad in the final against Atletico Madrid from 2 years ago (!!! ): Keylor Navas, Dani Carvajal, Sergio Ramos (c), Pepe, Marcelo, Casemiro, Luka Modrić, Toni Kroos, Gareth Bale, Karim Benzema, Cristiano Ronaldo. UNBELIEVABLE! Only Pepe isn’t there anymore. All those players went through the three years of Champions League success and won almost every game. I looked at their squad from 2014 final against Atletico and Carvajal, Ramos, Varane, Modrić, Bale, Benzema, Cristiano Ronaldo, Marcelo and Isco were in the squad. 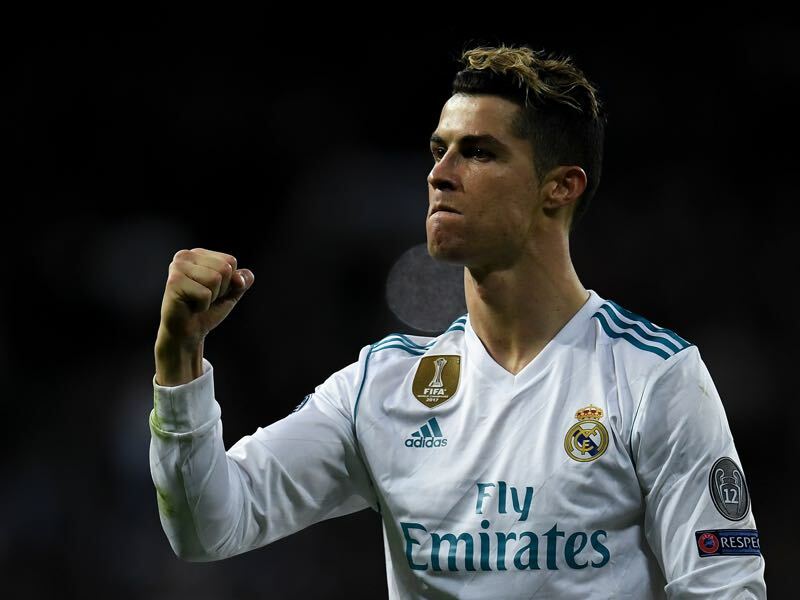 This team has a remarkable experience, and in the final games it often comes down to the experience (Ramos 94’ header and Christiano’s penalty against Juve are perfect examples). When two even and good teams play, that might be the decisive factor. Real Madrid attack vs Liverpool FC defence. Regardless if Zidane plays Bale, Isco or Vasquez it a still pretty great attack with Modrić and Kross doing their magic in the middle. It doesn’t only comes down to that but also to my first point of experience. 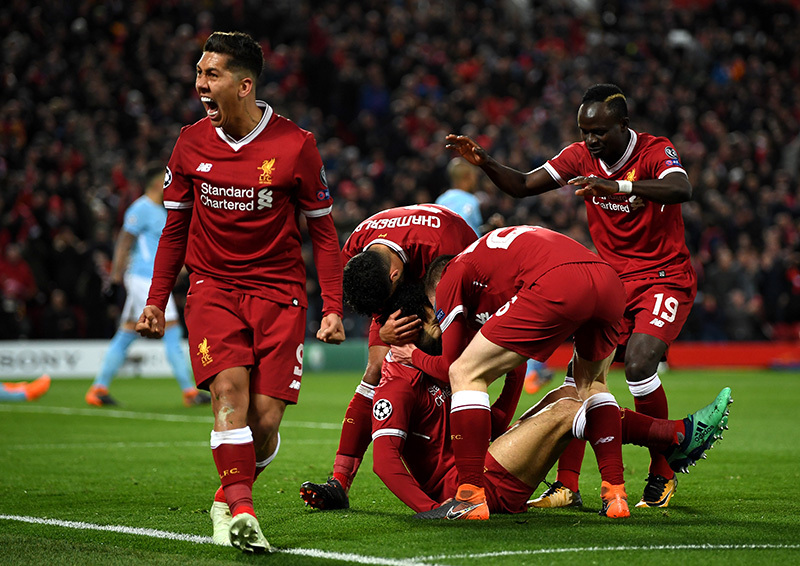 Andrew Robertson and Trent Alexander-Arnold are talented youngsters, and both had a great season, but one of them might have a poor game and not cope with the pressure of the big occasion. If Bale plays against one of them, it will be men vs boys. It might be a horrific experience, might be scary to watch. Also, Virgil van Dijk and Lovren are not world beaters, and Loris Karius or Satan forbid Simon Mignolet doesn’t give me a sense of a cemented defence. I think it might be enough for Real Madrid to use those clinical errors once or twice which might be just enough. And Madrid are very good at this. I don’t see this Liverpool defence having a game without mistakes, and Madrid are clinical at punishing those. On the other hand, if Liverpool defence plays and ideal match and make no mistakes, they deserve to win the final then. Lack of experience and leadership in Liverpool team. Of course, Liverpool has very good players, and Henderson and Milner are their leaders, but I think if the game doesn’t go Liverpool way I don’t see who would be the guy who roll up the sleeves and in that game will lead the team. In Istanbul it was Steven Gerrard, I’m not sure if Jordan Henderson or James Milner are at this level. They might prove me wrong, and I would be stoked to see that because it’s one of my favourite thing in football. Compared to Madrid where they have massively charismatic players like Ramos or Cristiano. Liverpool attack and mostly counter attack. We don’t know for sure how Zidane will set up his team, but I don’t see him playing very deeply and defensively, because it’s not Real Madrid way. So if Madrid will have the ball, possession and therefore territory, then it opens up big space in Real Madrid’s defence. And against those three it is suicidal. Sometimes when I watch Real Madrid play it seems that only Casemiro and Varane are the only defensive minded players. Everyone else is better at attacking than defending. That leaves up a lot of space. And maybe against Deportivo, it’s not an issue, but against Mohamed Salah and Sadio Mané, it is. The only thing which kind of helps is that Marcelo, Carvajal and Varane are fast players, Ramos not so much. So that might help, but still that Liverpool front three on their bicycles is fantastic. Liverpool switch on play and Gegenpressing. If you watch highlights of Liverpool they look insane, but they don’t play like this for 90 minutes. It is impossible to run like crazy for hour and a half. But in those “switch on” 10-15-20 minute intervals they are clinical. And sometimes impossible to stop (a legendary 7-0 game comes into mind). If Liverpool will switch on in the right moment then Madrid might crumble. It could be anything: an injury to a defender or Casemiro and he is out of the field being treated; a red card; or for example Carvajal does five sprints in a row from his goal to opposition and Liverpool starts playing in his zone – if Liverpool switches on at the right moment they can have that 15 minutes of total destruction where they could score a couple of goals. 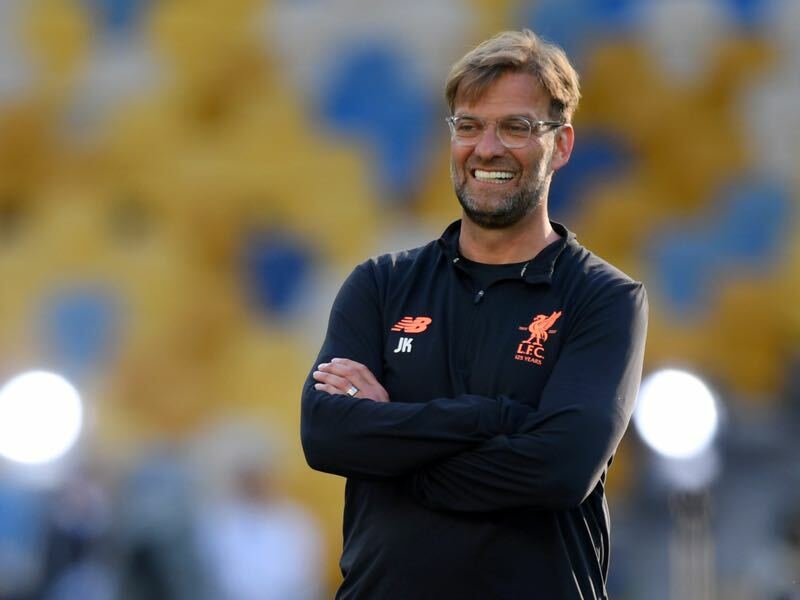 Klopp’s Borussia was very good at it, but I think his Liverpool mastered it and they are best in the world at it. If the game goes shambolic, I think Liverpool have more chances. There is a chance that games goes insane when an attack is better than defence. In that game of mistakes, I think Liverpool have more chances to win because that would lead up to more open zones and Gegenpressing opportunities. This would be a fun match to watch, but this point is mainly speculation. Fooooooooooooosh! That must’ve been the longest article I wrote. Curious to see your opinions. In any case, we’re up for a big and exciting game. I’m honestly will be happy for both teams to win, because they both deserve it. And I just hope we will have a legendary match on Saturday! So,Tim what do you think about Karius, now? He did terrible mistakes today (the first of all, when he has placed the ball on Benzema’s feet…). Also, Salah got injured very soon at the match, how do you think it has led to the supremacy of Real Madrid? I would appreciate your point of view.